Summary: If you have a bunch of old eyeglasses sitting in your cabinet, it might be time to repurposes them. Glasses are an integral part of your vision and a convenient tool that you can use to improve your overall vision. Similar to contacts in that they use a corrective lens, these physical frames can last periods of time without needing a replacement. The only minor changes you may need is an update on your prescription, which if you buy contacts online shouldn’t be an issue for you. A good pair of glasses can last for years. But when it’s time for a change you’ll want to dispose of them appropriately. Here are some ways you can safely accomplish this. If your current eyeglasses or broken or being repaired, you might be stranded without a spare set. Depending on your vision, you might fully be dependent on these glasses. In cases like these, it would be beneficial to have a spare set of glasses on the side so you don’t injure yourselves and you’re not confined to one place. If you want to use your old glasses for stylish purposes, you can take your frames and accessorize them with certain outfits that you own. If you have more glasses to choose from, you can match them accordingly with different outfits. Suppliers like Lens.com offers a wide array of frames that are perfect for accessorizing. Also, if you’re going to places where you could potentially lose them, like at a swimming pool or amusement part, it may be wise to wear your old one as opposed to your brand-new glasses. There’s always someone in need of glasses and there are numerous places where you can donate them. This can help those less fortunate that are not able to afford a pair of glasses. It might come as a surprise to you but people would rather throw away their glasses rather than make the trip down to donate them. 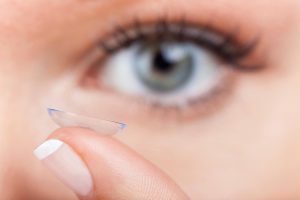 Blog submitted by Lens.com: Looking to buy contacts online? Trust the experts at Lens.com for the most affordable prices on the market. Visit them online today. Copyright © 2019 I-Europe Fashion.